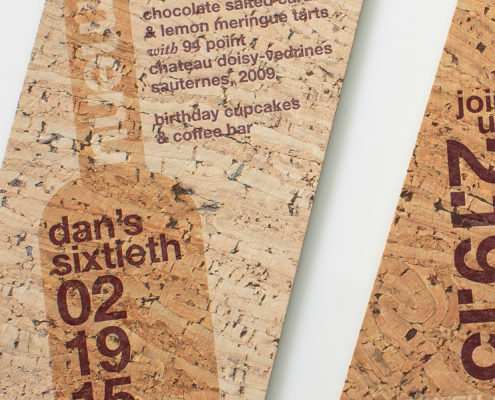 Please raise your glass…this letterpress printed invitation and coordinating menu are printed on real cork. 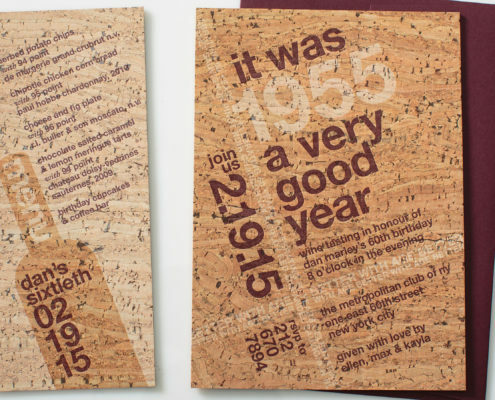 We backed them in earthy brown board to add thickness and paired the invitation with a Merlot colored envelope. Perfect for a party featuring wine tasting or to toast a wine lover on a special occasion.